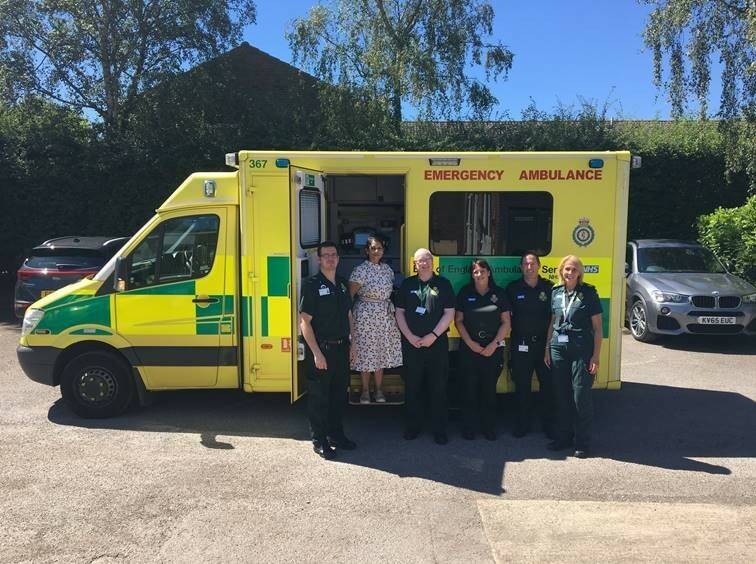 Witham MP, Priti Patel, met with senior management and paramedics from the East of England Ambulance NHS Trust (EEAST) at Witham Ambulance Station on Thursday [2 August 2018]. They discussed current challenges facing the Ambulance Service and planning for winter pressures, as well as the way in which EEAST are integrating community health services across the local NHS. They also discussed EEAST being awarded the Employer Recognition Scheme (ERS) Gold Award by the Ministry of Defence for supporting the Armed Forces. “The Mid Essex EEAST team are inspiring and work incredibly hard for our local area. We had a really productive meeting, discussing a range of issues affecting the Ambulance Service and current plans to address future winter pressures. “The work EEAST is doing to integrate community health services across the local NHS is fantastic and many congratulations to all EEAST staff for receiving the Gold Award for supporting the Armed Forces.